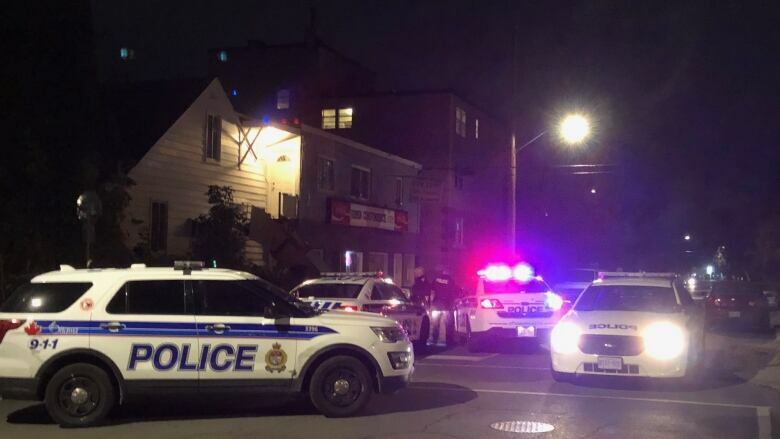 Ottawa police have one suspect in custody and have issued a warrant for another man following a violent home invasion in Vanier Tuesday evening. Police were called to a home in the 300 block of Lafontaine Avenue around 8:30 p.m. Two male suspects forced their way into a home, pistol-whipped and stabbed a 25-year-old man inside and stole several items. The suspects fled the scene and the victim was transported to hospital with life-threatening injuries. Police arrested one man nearby, but are still searching for a second suspect. Samatar Said-Fahmi, 23, is facing charges of attempted murder, breaking and entering, robbery, aggravated assault and several weapons charges. Police are looking for Andrew Carter, 19, who has also been charged with attempted murder, breaking and entering, robbery and weapons charges. Police are warning people not to approach him and to call 911 if they spot him. Carter is described as a white male, approximately five-feet-eight-inches tall and 190 pounds. He has a fair complexion and brown hair. Neighbours tell CBC News they've had numerous problems with criminal activity in the immediate area and have witnessed drug activity on the street.